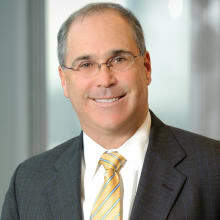 David J Goldschmidt is the global chair of Skadden’s capital markets group. He represents US and international issuers and investment banks in a variety of financing matters, including public offerings, private placements of debt and equity securities, and international securities offerings. He also counsels US and international clients on an ongoing basis, including advising on corporate governance, SEC filings and disclosure issues. He has extensive experience advising issuers and underwriters on offerings by high-technology and communications companies. Mr Goldschmidt is also very active in representing and advising real estate investment trusts in connection with capital market transactions, including many initial public offerings and general corporate matters, as well as representing issuers and investment banks in connection with private and public securities offerings by Israeli companies. He is also involved in developing new financial products. Mr Goldschmidt serves on Skadden’s Policy Committee. He was named Who’s Who Legal 2016 Capital Markets Lawyer of the Year and has repeatedly been selected for inclusion in Chambers USA, Chambers Global, The Legal 500 US, The Best Lawyers in America, IFLR1000, Who’s Who Legal and Euromoney, and Legal Media Group’s Guide to the World’s Leading Banking, Finance and Transactional Attorneys..